My aunts are 100% into scapbooking and card making and would be lost without their precious Cricut machines! They really are capable of some amazing DIY designs! I have always been curious about these. It looks very interesting. Interesting. My nieces are into crafts and scrapbooking. They'll love this. 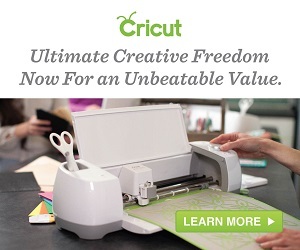 I've seen the Cricut around a lot, and I didn't really know what it did! 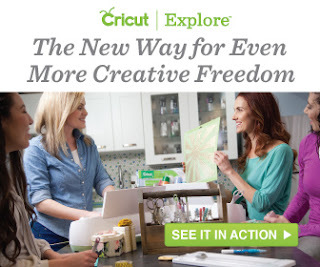 Sounds like a great product I'd love to have around for craft projects! That was an interesting. My daughter loves to do crafts or any DIY. This is great! I have no talent whatsoever for anything crafty, but I'd love to get this for my aunt and bestie who are amazing at it! Sounds very interesting. My mom is very much interested in doing different craft works which are usually very creative too. My kids do love the same and they always like to try different things. I am dying to try one of these machines. It looks so fun! I'll check it out and thanks for sharing.